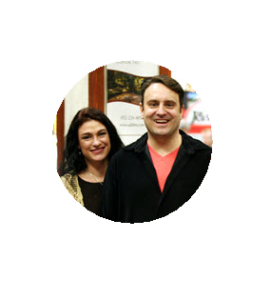 We recently talked with Tony Westrude, CEO at Architectural Landscape Design, and asked him to share about how the company was formed and what’s important to him and his wife Laura, the owners and founders. Question: Tony, can we talk about how things got started for you and Laura? There is a real big interest nationwide in people becoming entrepreneurs and starting their own businesses, so we’re interested in your story. Can you tell us how you and Laura got going in landscaping? One thing Laura and I have in common is our passion for what we do as well as being able to do it together. And while we express it differently, we found out early on that it was a great combination. Laura’s enthusiasm for landscaping goes back to growing up, working with her father in the gardens of their hobby farm. Later she went to school for graphic design, but she quickly realized her design passion was for creating beautiful outdoor areas. Laura started the landscape design business about 12 years ago, but it was a struggle for her because she had no real training in running a business, so that’s where my background and passion came in. Since I was about 16 or 17 years old I had a desire to be an entrepreneur. I never really worked for anyone else. I started out with my own cleaning business, and later I went to college for business management. So I was really excited about the possibilities when I joined her in this company about six years ago. My focus was on the business end of things – recruiting and hiring good employees, marketing, handling the day-to-day business end of the company, that kind of thing. What we have in common is we both like to do things our own way, but we work well together. It wasn’t long before we realized that having our own business was something we were really going to enjoy, even though it was ten times more work than we thought it would be at first. Turning your passions into a business that pays off can be a challenge – there is a lot of trial and error involved. Laura has the creativity and vision for turning our clients’ landscape dreams into a beautiful design, and it’s my job to figure out practically how to engineer it. But it’s been exciting for both of us from the very beginning to see how well our backgrounds and our passions mesh together. If you take a look at some of the projects we’ve done, I think you’ll see that’s the case. Question: Is there something about your experience in starting this company that you feel gives you an advantage? Tony: Absolutely. I think it’s how well we’ve learned to work together and blend our talents and enthusiasm. The result is a successful, dynamic business that we’ve been able to bring a number of very talented people in to work with us. Through this learning process we’ve developed the ability to bring different approaches and desires together so they complement and enhance each other. And that really helps when we’re working with clients. For the most part the potential clients we meet with are a couple, and each one of them has a slightly different vision of what they want their yard to look like and the functionality they desire. Sometimes we joke that our landscape services involve marital therapy, but I think because of how Laura and I have learned to work together over the years we have some insight into how to accommodate both parties. The ultimate goal is a beautiful outdoor area that not only complements the style of the home it surrounds but also satisfies the desires of those who live there, each of them. Architectural Landscape Design, Inc. is based in the Minneapolis area, but we serve the entire Twin Cities metro. To see just a few of the projects Tony and Laura have created together over the years, visit our Photo Gallery. You can also follow us on Facebook – we regularly post new project photos there as well.